Lloyd HOribe is arguably the best hairstylist in hawaii. But you wouldn’t have known it by looking at his salon’s website. While no one could fault hairstylists for their sites, I knew a few tweaks would go a long way. 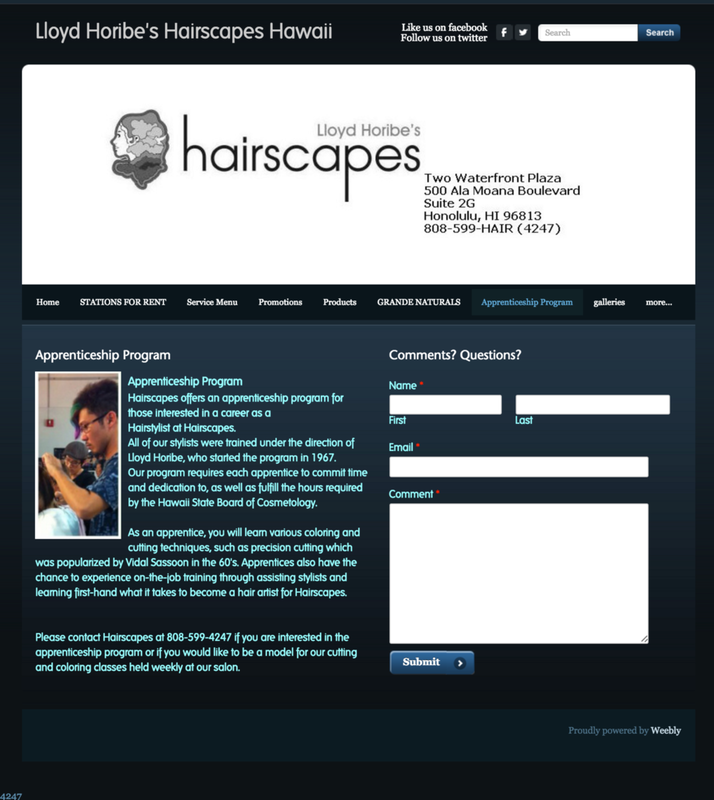 I was happy to help Hairscapes so they could attract all the clientele they can handle! I decided to stick to Weebly and the base template already being used so that updating content would be easy for Lloyd and his staff. I rearranged and added new content in a fashion that was similar to other successful salon websites, such as a team page and a consistent footer with the salon's contact information. I also designed for an optimal mobile web experience. To add a pop of color and cohesiveness across pages, I used photos of the beautiful flowers I came across during my trip to Hawaii in the header. 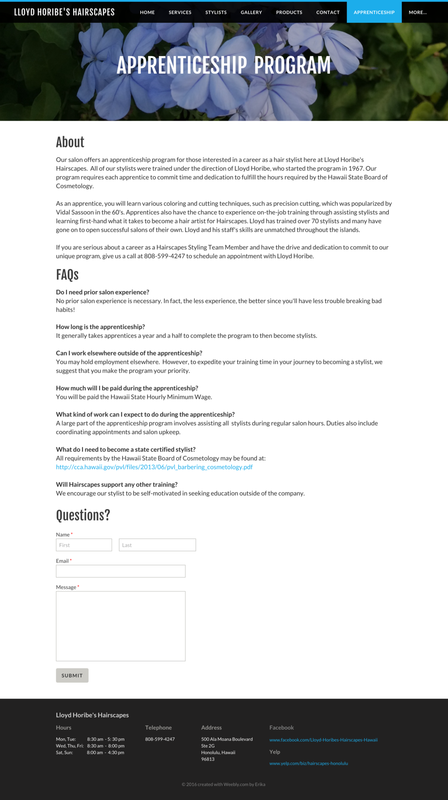 The redesigned site went live in March 2016.